The breakdown of negotiations has led Major League Soccer to fall back on what has become an all-too-familiar tactic in the world of sports. The role of the referee in professional sports is not just making sure play is monitored, penalties get called and the game has a sense of flow. It is to protect the integrity of the product and the safety of the participants. The NFL demonstrated starkly when it started the first four games of the 2012 season with scab—or in the parlance of our neoliberal times “replacement”—referees, that the game was simply not the game when you had untrained eyes in charge of the action. For reasons that beggar belief, Major League Soccer has decided to follow in the tragic trajectory of the NFL and start the season with scabs on the pitch. 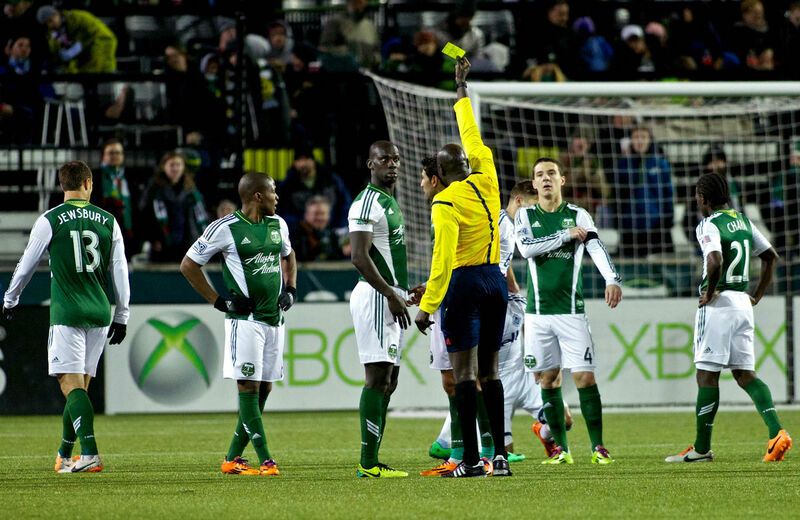 The Professional Soccer Referees Association, otherwise known as the refs union, has been attempting to negotiate their first collective bargaining agreement in league history. The amount of money that separated the two parties is not vast, estimated between $440,000 and $1 million for the lifetime of the deal. The main financial issue was that in recent years, MLS mandated far more trainings for referees to improve the quality of officiating. The refs, however, were not compensated for the extra hours. Yes, you read that correctly. The response to the refs shockingly ungentlemanly refusal to sign a no-strike pledge, has been to lock them out. This contemptible, hypocritical move forced me to ask the question, what the hell is it about labor rights that so repulse people named Walton? 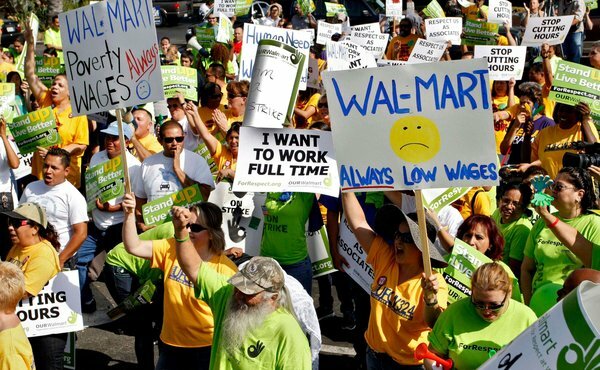 No, Peter Walton, a former British referee, is not related to those Waltons but I did truly wonder if some ne’er-do-well billionaire Walmart nephew had taken to breaking unions as a sideline hobby. As for the refs, they have decried the lockout as a “scorched-earth” tactic and vowed to press on. They point out that the lockout comes after the union had already filed unfair labor practice and labor intimidation complains with the National Labor Relations Board. Meanwhile, however, we have the specter this weekend of games that could be a train-wreck waiting to happen. Those two words, integrity and injury, cannot be mentioned enough. On the question of “integrity,” it must be noted that professional soccer has been engulfed in match fixing scandals at the highest levels of the sport, in the English Premier League, as well as, in recent years, fifteen other nations. So far we have not seen these scandals hit MLS, but for a league with far less of a foothold than its English brethren, integrity is everything. Scab referees, with little invested long term in MLS, will make people roll their eyes with every blown call as people wonder in the stands and on message boards whether it was incompetence or fraud. A parallel outrage, however, is that the MLS will become yet another pro sports league that utilizes the lockout in negotiations with refs or players, joining the NFL (twice), the NBA and NHL since 2011. The utilization of this tactic on such a high cultural platform only adds to the societal acceptance of something that was once the third rail of labor-management relations. Lockouts should never be a part of union negotiations, but in sports and beyond, they have become just a part of the process. This has to be stood up to, no matter the industry. The MLS refs lockout is awful for the unionized refs, dangerous for the players, devastating for MLS and terrible for all working people, whether you consider yourself a soccer fan or not.